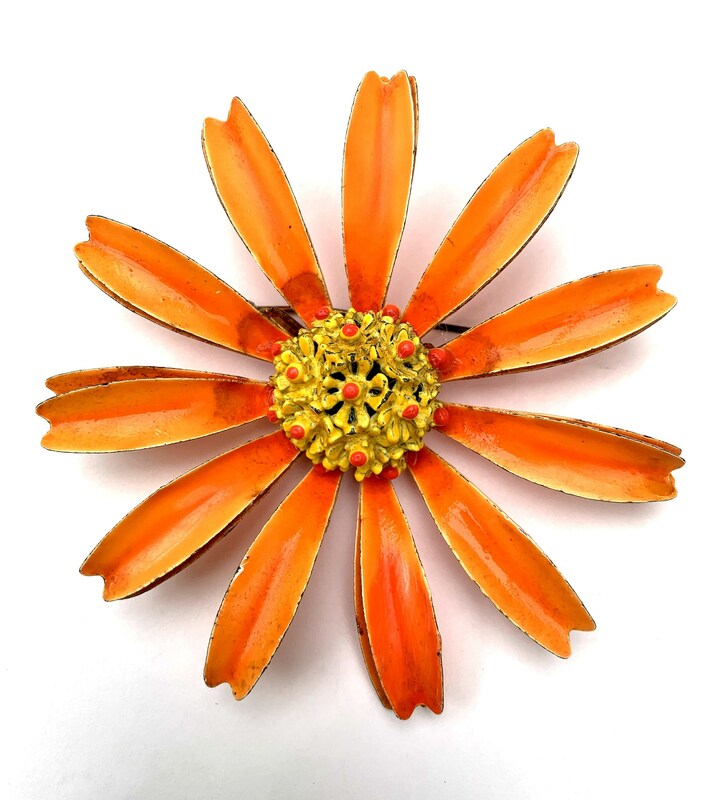 Serendipity treasures present this fun orange and yellow enamel flower daisy brooch. It consist of two layers of petals with a yellow center. It is in good vintage condition there is some brownish color near the center. enamel is in good condition.